Before beginning this lesson, restore the default application settings for Adobe Photoshop. See "Restoring default preferences" on page 5. The image you'll work on in this lesson is a scanned photograph. 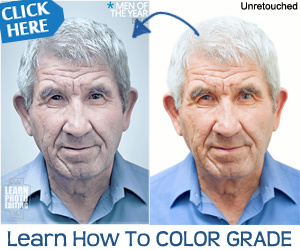 In this scenario, you'll prepare the image to be placed in an Adobe InDesign® layout for a fictitious magazine. The final image size in the print layout will be 2 inches by 3 inches. You'll start the lesson by viewing the finished image. The picture you'll work on shows an interesting window with a window box that is overflowing with blooming red geraniums. If a notice appears asking whether you want to customize your color settings, click No. 2 Choose File > Open, and open the file 03End.psd from the Lessons/Lesson03 folder. 3 When you have finished viewing the file, either leave the file open for reference or close it without saving changes. » For some color illustrations of the artwork for this lesson, see the color section. Now you'll open the start file and begin the lesson by viewing the photograph you will be retouching. 4 Choose File > Open, and open the file 03Start.psd from the Lessons/Lesson03 folder. The start image shows the same window, but the colors are dull, the scan is crooked, and the dimensions are larger than needed for the requirements of the magazine. These are the qualities that you'll fix in this lesson using Photoshop retouching techniques.